Weed killer is expensive and full of harsh chemicals. If you have kids or pets, you may want to look for a safer alternative! Not only is homemade weed killer frugal, but it also works great. It only takes a few minutes to make and you probably have everything you need already in your cupboards! 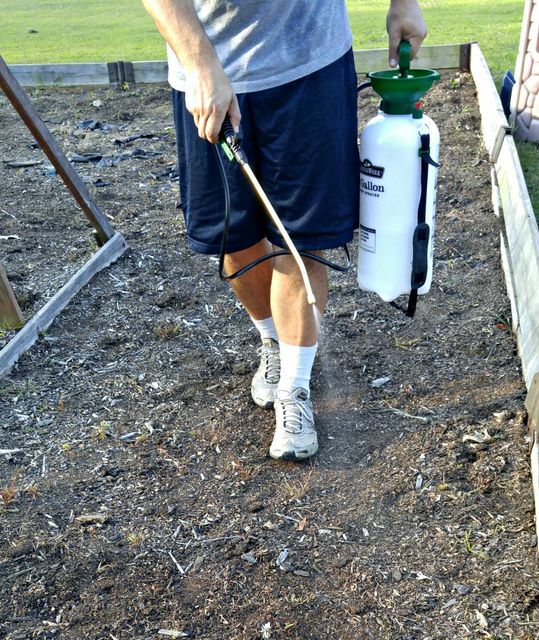 The vinegar and salt both work together to draw moisture out of the plants to kill the weed. The liquid dish soap makes the mixture stick to the weed. 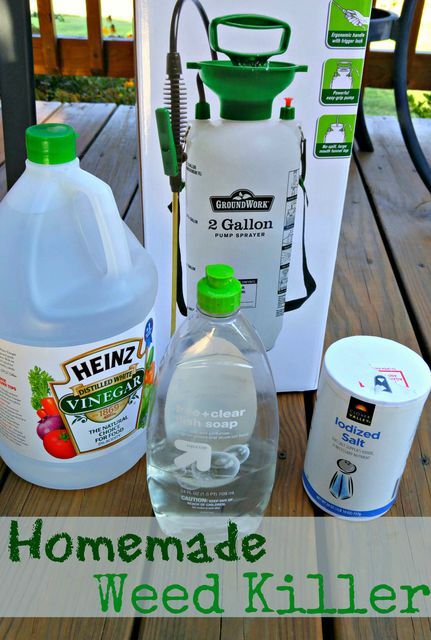 This weed killer recipe will kill or damage any plant it touches. Only use it in areas like driveways, sidewalks, and large open mulch or gravel areas. This weed killer works best when hot and sunny! It may take a couple applications to fully rid your area of the weeds.